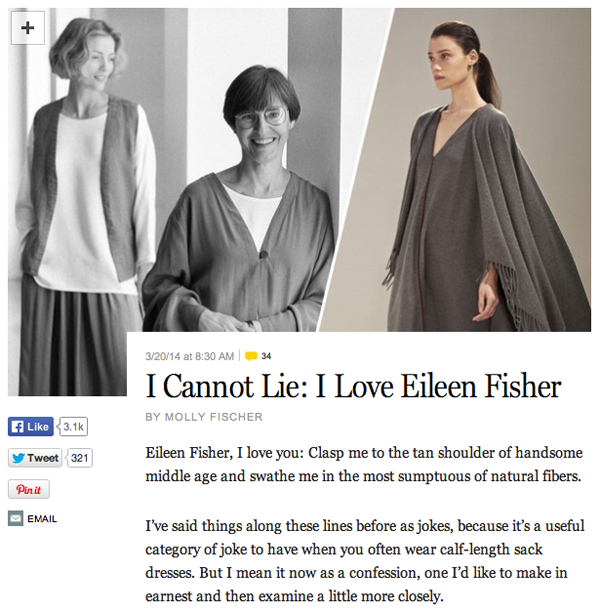 Collections: "I Cannot Lie: I Love Eileen Fisher"
I'm angry about the article, "I Cannot Lie: I Love Eileen Fisher". Not because Molly Fischer isn't right, Eileen Fisher is the bomb, but because I've known this for years. When I read it, I feel like Molly has taken the words right out of my mouth and put them on paper for the whole world (mostly NY'ers) to read. I want to be a toddler and whine for a minute - I knew Eileen was great before she did, I swear! I love Eileen Fisher so much, that I even go to J. Jill to buy cheaper imitations of her clothes - now that's devotion. I'm scared that the Eileen Fisher secret is out and people will flock to one of my favorite stores. I have become the face of paranoia. I am 25 years old and I love Eileen Fisher. If you haven't read the NY Mag article, do so, because even though I didn't write it, my sentiments are so similar to Molly's, that it sort of feels like I did. 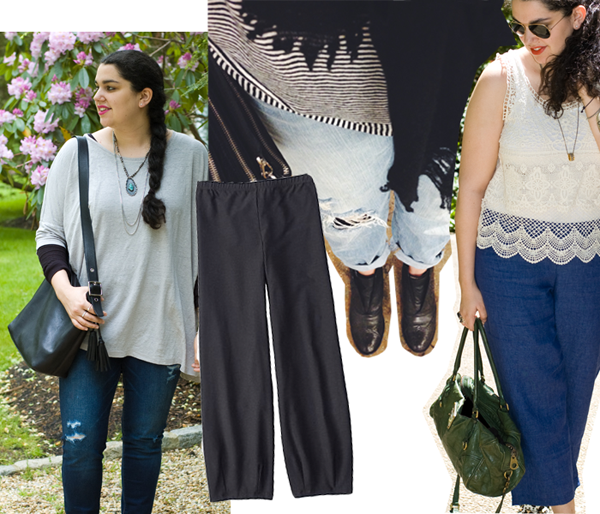 *Collages created by me. Article excerpt taken from NY Mag. 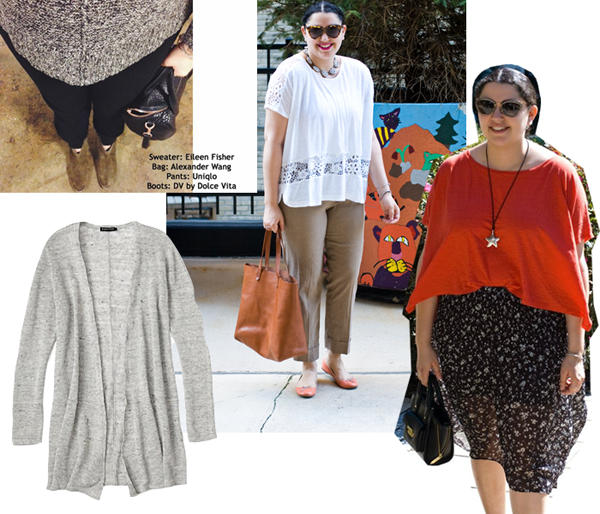 My mom is a huge Eileen Fisher fan and I always go with her to shop for pieces. There are SO many cute things where I'm like, "hey, I'll wear that!" I've def. worn some of my mom's cardigans and stuff. so fun!